(22%) 2 of 9 customer would recommend this product to a friend. PureLine Prime Variable Speed Pump Now Energy Star Certified! 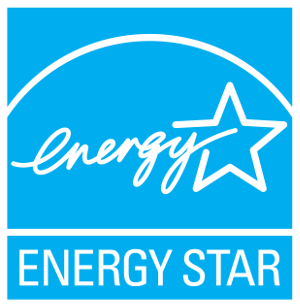 Energy Star Pumps are eligible for up to a $300 Rebate with power companies. Check your power company website to see if you are eligible for rebates. Maximize your savings with the new PureLine Prime Variable Speed Pump. The PureLine Prime Variable Speed Pump utilizes Century’s fully featured V-Green 165 motor, delivering premium energy efficiency and program flexibility with an integrated user interface. The PureLine Prime Variable Speed Pump is an exact replacement to the Hayward Super Pump Variable Speed Pump, making it quick and cost efficient to replace. The PureLine Prime Variable Speed Pump can save you up to 80% in energy costs over single-speed pumps. It also has faster payback than the more expensive variable speed pumps because of it is sized to match the performance of the most common medium head pumps. Paired with a Century Motor. The most reliable pool motor in the world. A Answered on 4/3/2019 by InyoPools Product Specialist Patrick P.
Hi GK, as long as your wiring harness is 230V and not 115V then you will be fine using that as plug for this pump. I am replacing a Hayward SP3007X10AZ with a 1hp. I Have a roof mounted solar system heater. The pool is appx 10,000 gallons with a built in 800 gallon spa. It is a salt system and I utilize a Hayward 11KW for the spa heat. I would like to replace it with a Purline Variable speed system. What unit should I get to best handle my configuration. A Answered on 3/31/2019 by InyoPools Product Specialist Patrick P.
Hi David, For the set up you have described then the PL2605 PureLine Prime Variable Speed pump would be the ideal pump for you. Does the PL 2605 have a wiring harness to plug in to an outside recepticle? Hi. It does not, this pump will have to be hard wired to an external timer like the Intermatic T104 Series - T104P3 (Plastic Enclosure) or the T104R3 (M-Metal Enclosure). I have a Hayward Gold Controls ProLogic automation system. I'm looking for a replacement pump for my Hayward dual speed super pump which I believe needs a motor. Would this unit work with my automation system? Hi, Rob. This pump can be used, however, it may require the V-Green Automation Adapter Kit - 2517501-001 if you would like to assign specific speeds to a feature. A Answered on 3/17/2019 by InyoPools Product Specialist Lennox H.
Hi, John. To backwash or drain to waste, you will use the OVERRIDE speed. These controllers, unfortunately, cannot be relocated. Would this be a good replacement for a Pentair VS-3050? I never ran that pump over 3,000 RPM. Also my existing setup is on a timer and the power cycles with it. Will this pump work with this type of timer setup? A Answered on 2/15/2019 by InyoPools Product Specialist Hector F.
Based on the total horsepower of the current model pump that you have the better option would be the model PL2606. If you are using a standard timer that allows or cuts of the circuit feeding power to the pump then yes you can still use that timer on this replacement pump. I currently have 1 1/2 inch pipes going into/ out of the existing pump. Will this work? I see 2 inch fittings listed as part of the item. Hi, John. This pump can be plumb using 1-1/2" pipes. Would this be a suitable replacement for my pentair we-24 pump? A Answered on 2/4/2019 by InyoPools Product Specialist Hector F.
I believe you are referring to the WFE-24 and if so then yes this pump is a good replacement for that model. Hi we currently have a 16x30 in ground saltwater pool, 6 feet on deep end, 3 feet approx shallow end. We have a DE filter that has max 72 gpm there is a single speed Hayward 1hp max XL pump motor. Our motor is expansive to run. I want to change it out for a variable speed unit and try and save money on the electric. Would this unit work or is there a better option? A Answered on 1/3/2019 by InyoPools Product Specialist Hector F.
Yes, this variable speed pump would be an adequate replacement pump for your application. Looking to replace a jacuzzi magnum force with 1.5 hp motor and 2 inch piping. max depth of pool is 5 feet. Approx 12X24 curved shaped pool. Is this pump a good fit, or could I go with the less expensive 1.5 HP pump. Pump is located within 25 feet of suction point. A Answered on 1/4/2019 by InyoPools Product Specialist Joe S.
Good day, based on the information sent in we would recommend the PureLine Prime Variable Speed Pool Pump 1.65 HP - PL2605 as a replacement. A Answered on 12/21/2018 by InyoPools Product Specialist Lennox H.
Hi. This Prime Variable Speed Pool Pump - PL2605 will not be a drop in replacement. The Carvin Magnum Force V - 15VMF-S2 will be which we can special order. Can you recommend a cartridge filter compatible with this pump and suitable for a 10,000 gallon pool. On the average for a swimming pool like yours with that pump, I would recommend any cartridge filter with at least 120 square foot of surface area. Would this be a good replacement for my 1.5 HP Hayward Super Pump, single speed? Yes, this would be a great direct drop-in replacement for a Hayward Super Pump. Is the PureLine Prime 1.65 HP Variable Pump Energy Star Certified? A Answered on 11/28/2018 by InyoPools Product Specialist Lennox H.
Yes, this Prime Variable Speed Pool Pump is Energy Star Certified. What determines the variable speed? Does that have to be adjusted or is it somehow a on-demand automation? I currently have a Jandy HHPlus 1.5 hp pump running through a Jandy Ultraflex 2 filtration system with a 150gpm filter. The pool is clean and clear when running for about 7 hrs per day. I want to upgrade to a VS pump. What would you suggest for my application? A Answered on 11/12/2018 by InyoPools Product Specialist Lennox H.
Hi, Jeff H. In order to determine which pump will be best for your application, I will need to know the Total Dynamic Head (TDH) of your system. Use our How To Measure Total Dynamic Head With Gauges and How Do I Calculate Feet of Head for My Pool? guides. I have a 30,000 gallon pool what sz motor does it need? A Answered on 11/5/2018 by InyoPools Product Specialist Lennox H.
Hi. To size a pump you can use our How to Size a Pool Pump for Your In-Ground Pool. I'm replacing a Hayward Super Pump, originally had a 3/4 hp motor on it, I replaced it a few years ago with a 1 hp motor. My pool is 15,000 gal inground concrete with no features, a hayward cartridge filter and a wall mounted timer. Would you recommend this 1.65 hp pump or the smaller one? Hi, Sean. I would highly recommend this Prime Variable Speed Pool Pump - PL2605 as a suitable replacement for the Hayward Super Pump. Hi, Andy. Using the info provided, this pump will not be a suitable replacement. The pump you have is a high head pump and this is a medium head pump. The performance scale is different. The Hayward TriStar VS Pump - SP3202VSP will be a better option. Here's another Austin as I've been researching too much. Is this motor a PMM? Through my readings I've an that PMM's are a better bet, or at this size it didn't make too much of a difference. A Answered on 10/5/2018 by InyoPools Product Specialist Lennox H.
Hi, Peter. This motor is a permanent magnet, totally enclosed fan cooled (TEFC) motor. I have an old Sta-Rite Dura-glas Pump 1 1/4 HP Single Speed - P2RA5F pump and would like to replace it with either this Pureline Prime Variable Speed or the Pentair Superflo 1.65 Variable Speed Pump. Would either of these options work well? Hi, Peter. If you currently have 230 volts power, either pump will work. I would recommend this Prime Variable Speed Pool Pump 1.65 HP. The performance will be the same, you can use your existing timer etc. I notice on this pump the top RPM is 3450..I think my current motor is a single speed which is 3450 RPM.. will the variable have a problem with the flow rate that the heat pump needs to operate? I noticed that once the PSI got up to about 23PSI (which I assume lowered the flow rate) the heat pump had a issue with flow..not enough. I'm guessing with anything less than 3450 RPM the heat pump won't work..any thoughts? Hi, Dan. Operating this pump at a lower RPM can provide insufficient water flow to the heater. You will have to make sure that the motor is operating at the proper RPM in order to activate the water pressure switch on the heat pump. I have a Hayward super ii pump with a 1.5 hp motor. My pool is 24,000 gallons and it has a water heater I never use. I run it 5 hours a day when its not in heavy use and it stays clean. Would this pump works for me? Thanks! Hi, Andres. To determine if this pump will work for you, the Total Dynamic Head (TDH) of your pool will need to be calculated. You can reference these following guides, How To Measure Total Dynamic Head With Gauges or How Do I Calculate Feet of Head for My Pool?. Hi, Ray. This pump does have a battery backup, however, it does not specify the time frame. I have a Jandy PHPM 1.5 hp Is this pump as strong as that one. Also is this a good replacement for it. I know I will have to raise the Pureline up about 1.5 "
Hi, Tony. This PureLine Prime Variable Speed Pool Pump 1.65 HP will not move the same amount of water as the Jandy PHPM15 pump. I would recommend the PureLine Prime 2.7 VS Pool Pump - PL2606. Hi, Gary. This pump will not be a suitable replacement for a Magnum 1000 Pump because they're two different styles of pumps which performs differently. You will need a high head variable speed pump like the Hayward Tristar VS Variable Speed Pump - SP3202VSP. Hi, Todd. To determine if this pump will provide enough flow for your pool, you will need to check out these following guides How To Measure Total Dynamic Head With Gauges, How Do I Calculate Feet of Head for My Pool? and How to Size a Pool Pump for Your In-Ground Pool. Hi, can the control panel on the motor be turned. I just bought one of these and it is on the way. However I do not see in the instruction on whether the contorl can be turned or relocated in some way. In my current set up I am not sure how well I will be able to operate the control. Hi, Rod. The interface on this pump cannot be rotated. You can purchase the Century VLink - VL100 or the V-Green 270 User Interface - 2520652-001 for off-board controls. Can I use this pump with a Hayward PL-Plus automation system? Is the RS-485 interface compatible? A Answered on 7/15/2018 by InyoPools Product Specialist Lennox H.
Hi, Don. You can use the RS-485, but will have very limited features. I would recommend getting the V-Green Automation Adapter Kit - 2517501-001. I have a PureLine Prime Variable Speed Pool Pump 1.65 HP - PL2605. I purchased it about a year ago from yall. The motor is working fine but the pump would no longer prime. Flow rate fell from 90 gpm to 50 gpm and then ceased pumping all together. The pressures are with clean diatomaceous earth filters. What parts do I need to rebuild the pump? A Answered on 6/21/2018 by InyoPools Product Specialist Andy O. What is the recommended rating for the electrical breaker for this pump ? Hi, Chuck. This pump can only be wired for 230 volts. Hi Pablo, Yes this pump would work as a great replacement for your current Sta-Rite pump on the pool set up you described. Hi there, my existing motor shows a Service Factor of 1.1 - I see that this combo shows SF 1.0 - am I ok to use this still? I currently have a Centurion motor (168453) that is going bad (bearings) and a Challenger pump of unknown age (6+). I know I already asked this, but wanted to clarify since I saw the SF variance - will this setup work for me? Also, this mentions a drop-in fit for a Hayward Super pump, but will it need much re-plumbing to match up with my Challenger? Hi David, Yes the PL2605 will have a comparable Gallons Per Minute (GPM) Output as your Challenger and this would be the pump we would suggest as a Variable Speed Replacement for the pump you described. You will have a little bit of re-plumbing as the ports on the PureLine Prime are not in the exact same spot as the Challenger but it should not be too bad. I have a 14,000 gal inground pool with a 1.5 hp pump. i have solar panels on the roof of my single story home. will this pump work at lower speeds with my panels? Hi, Andy. Unfortunately, this pump may not provide sufficient water flow at a lower speed through your solar panels. Need troubleshooting help. Recently, purchased PureLine VS 1.65HP to replace A.O.Smith USQ1102 single speed motor. The pump does not appear to turn on. The voltage was upgraded from 120v to 240v. Terminal 1 and 2 both show 120v going to each connector, yet there are no lights on the pump. Any advice to get this thing working would be greatly appreciated. Hi, Phebe. I would recommend checking the positions of the Dip Switches. All Dip switches should be in the OFF position when external controllers are not being used. A Answered on 5/12/2018 by InyoPools Product Specialist Patrick P.
Hi Phil, This will be an awesome pump for the set up you explained. The Prime has 2" plumbing like your Jacuzzi Magnum, the plumbing ports are not in the exact same spot but they are close, meaning you will just have some minor re-plumbing. You are correct you will see big energy savings by going with a variable speed pump. With a variable speed pump you will have a full range of HP you can dial the pump into anywhere from .5 HP to 1.65 HP so for the majority of the time you will try to run the HP as low as possible to save on energy but you always have the ability to ramp up the HP as needed for things like vacuuming. A Answered on 5/11/2018 by InyoPools Product Specialist Patrick P.
I need to replace a Hayward Northstar 1.5 hp pump and would like to replace with a variable speed with a timer. would this pump be a good choice? We will need to know if your motor is full rated or an uprated model. That will affect the best variable speed pump we'd recommend. You can call in with that service factor specification that should be listed on your motor label or even your motor model, part or catalog number so we can confirm. You can also email that information in if you would like to upload@inyopools.com. A Answered on 5/5/2018 by InyoPools Product Specialist Patrick P.
Hi Tony, My suggestion would be this PureLine Prime 1.65 HP Variable Speed Pump. I really like this pump as it will save you a ton on your operational costs. The variable speed pumps also give you a lot of flexibility as they allow you run the pump from any RPM level between 600 - 3450 unlike single speed pumps where they run a the max RPM's of 3450 whenever they are turned on. This pump has 2" ports like your current whisperflow pump so you should be all set with your plumbing, however if you do need to use a reducer that is fine and would not be a problem. A Answered on 5/4/2018 by InyoPools Product Specialist Patrick P.
Hi Bryan, Yes the PureLine Prime Variable Speed would work as a replacement for your pump and would be the pump we would suggest for you. You may have a little bit of re-plumbing as the plumbing ports on the pump are not in the exact same spot as your Richardson Pump but it should not be too bad. I'm replacing my 15 year old Sta-Rite Dyna Wave 2hp pump. Pool is 21000 gal, 2 skimmers, main drain, 3 returns. Runs are up to 60 feet. I have a large Sta-rite cartridge filter. I run it 12 hour a day on a timer with a fireman switch for the heater. I also use a chlorine generator. Pool runs from June through Sept. Is this a good fit? A Answered on 4/30/2018 by InyoPools Product Specialist Patrick P.
Hi George, Based on the pool you described this pump will be a great fit. This pump will save you a ton on your power bill as you can dial it into any RPM speed between 600 - 3450 RPM's this also gives you a lot of flexibility with programming the pump for optimal efficiency. A Answered on 4/27/2018 by InyoPools Product Specialist Kevin G.
Hello, Lori. The PL2605 will work for you based off of your current pump. However, I would not recommend running it at higher RPMs for extended periods of times due to the fact that it has a stronger HP than your current pump, which can damage your system. The warranty on this unit is 18 months for the motor and 12 months for the pump housing. I have a 30000 gallon in ground pool with an old, 1996 model, hayward pump. Would this work in its place? Hi, Eddie. In order to confirm I will need the model of your existing Hayward pump or the TDH or Feet of Head for your pool. Hi Gary, This pump would be a great replacement for your current pump and would actually be the one we suggest. With this variable speed pump you will save a ton on your power bill. Also since the PureLine Prime is now Energy Star Certified you may be eligible for additional rebates with your local power company. With not knowing the model of your Hayward pump we can't guarantee that the plumbing ports will be in the exact same location, but worst case you would just have some very minor plumbing. We just installed this pump and we are trying to figure out how to calculate the most efficient schedule for our 32k inground pool. What's a resource to help with this? Hi, Ashley. You will have to use a process of elimination, or if you know the TDH of your pool, you can use the performance data located in the product description. Hello. Would this pump work on 230V/50hz input. (Europe) ? A Answered on 4/12/2018 by InyoPools Product Specialist Lennox H.
Hi, Thierry. This pump is 230 volt 60 Hz, not 50 Hz. Would this be a good replacement for a sta-rite P6E6F-207L? This pump does not have as much total horsepower as your current model, so the model PL2606 would match better. is the motor totally enclosed? Yes, this motor is totally enclosed and fan cooled (TEFC). Would this pump work well on a 30,000 gallon above ground pool running a Speck Aquaswim Triple500 cartridge filter? Hi Scott, As long as you have 230V electrical service available and you plumb the pool with hard pvc plumbing then this would be a great choice in pumps for you. A Answered on 2/28/2018 by InyoPools Product Specialist Kevin G.
Hello, the warranty on the PL2605 is 18 months. Hi, Matt. We do not offer any extended warranties. What pump would you recommend to replace a century centurion pump cat-B2854 1.5 hp? A Answered on 12/11/2017 by InyoPools Product Specialist Kevin G.
Hello, I have a 26k gallon pool with a Salt Generator. We purchased this home a few months ago and the other owners said that they had issues with algae, I have not had issues but I always let the pump run. They installed a Pentair Superflow right before we moved in. Now, the pump is not priming, is doesn't sound like it is trying to prime either. I can hear the motor running but it does not sound right. Should I try to repair it? Or should I just purchase a new pump? A Answered on 8/22/2017 by InyoPools Product Specialist Stacey M.
Hello Mary, there are several different reasons why the pump wouldn't prime, here are some videos to help troubleshoot: How To Determine Why a Pool Pump Won't Prime, How To Prime a Pool Pump, 8 Answers to “Why Is My Pool Pump Not Working?” If you are still having an issue please contact us 407-834-2200. I have a 15,000 gallon in-ground pool. Right now using a 1.5 HP Hayward Superpump without a timer that I let run 24/7. I have no idea what that is costing me in electricity. Should I consider a variable speed pump and add a timer? Dennis, A variable speed would run almost constantly on a lower rpm without the need for a timer. You would control the rpms using the drive that is on top of the motor. A timer would only turn the pump on and off. Hello my current pump is a 1.5HP Pentair Challenger high performance pump. What would the recommended variable speed pump be? A Answered on 6/14/2017 by InyoPools Product Specialist Patrick P.
Hi Peggy, Thanks for the question! Based on all the info. you supplied I would suggest the PurelIne Prime PL2606 2.7 HP Variable Speed Pump The nice thing about the PL2606 is that you have the ability to ramp the pump all the way up to 2.7 HP if you need to for things like vacuuming, spa jets, water features, solar, etc... but for the vast majority of the time you will have the pump dialed down to a very low HP for general pool filtration and this is where you will see all of your energy savings. Typically you can see a savings of 50% - 75% operational cost savings over a single speed pump. I hope this helps! If this pump is hooked to a timer, will custom settings be lost every time it shuts down? I wired ours direct and turn it on/off with the breaker. It is wired with saltwater system. It seems to do a pretty good job remembering the previous setting every time I turn it on. I only use the preset (1-2-3) or "Override" setting which is max speed, but on Override you can customize the speed. It usually remembers the preset but sometimes I have to hit the Start button. I love this pump. It was a direct fit for the old Hayward I replaced this year and was easy to install. It is quiet and does a great job pushing water. I do have to keep it on Override or setting 1 to push enough pressure for the heater to work. A Answered on 6/5/2017 by InyoPools Product Specialist Patrick P.
Hi Michael, No if you install the PureLine on your own, then the warranty is not voided. I like the 2.7 HP Variable Speed PureLine Prime as it gives that extra HP just in case you need it. You still have the lower HP range that you can use for everyday filtration and this will really cut down on your operational cost. I currently have a 10 year old pentair 2hp superflo pool pump. Would this 1.65 HP be an acceptable replacement? A Answered on 6/3/2017 by InyoPools Product Specialist Hector F.
Being that you would be stepping down in total horse power I would recommend using the Pureline Prime model PL2606. This way you can always adjust the rpm to match what you have been using. Hello, Yes this is perfectly fine to replace and is compatible with Goldline system, but with Ecostar it is 3hp capacity which is more Variable/energy efficient in savings. Hi Mark, you could use a standard 1.5" x 2" pvc adapter that you can pick up at a local hardware store for a few dollars. I have a "Blue " 1hp pump and would like to replace with one of your vs pumps. Which one would you recommend? Hi Tom, This PL2605 PureLine Prime Variable Speed Pump 1.65 HP would be the pump we would suggest as a variable speed replacement for your Blue 1 HP pump. This pump is only used with 208-230 volt. hi not sure how many gallons of water I have but pool is 16 x 32 with a 9' deep end hopper style pool. Electric pump that came with pool was a 3/4hp hayward superpump about 15 years ago with a cartridge filter. Have upgraded to 3600 de hayward and would like to change pump. I run pump 24/7 in summer because I am not available to maintain pool so often so this option has worked for me but at a high expense. Was thinking of installing the pl2615 . what are your thoughts on this..
A Answered on 4/24/2017 by InyoPools Product Specialist Patrick P.
I think the PL2605 would be a great option for you, especially if you are running the pump 24/7 as you can run the pump at lower speeds for longer periods of time saving your on your operational costs. You may also want to install a Pool Timer which would allow you to schedule the pump to come on and off at certain time of the day allowing you to run for say 12 hours and not 24 hours. I have a Hayward Super Pump. Do you sell a variable speed motor (motor and controller only) as a replacement to that pump? Hello, Yes we do have variable speed motors for the Super Pump. What HP pump are you replacing? Is the PureLine Prime Variable Speed Pool Pump 1.65 HP - PL2605 an energy certified Energy Star pump as described below? To meet the Energy Star specification, the pool pump must have an Energy Factor (EF) – a measure of efficiency – of 3.8 or greater. At this time, all variable-speed pool pumps do meet the minimum Energy Factor rating of 3.8 and qualify for Duke Energy’s rebate. Unfortunately, it is not an Certified Energy Star pump. A Answered on 4/13/2017 by InyoPools Product Specialist Scott W.
The PL2605 would be a great replacement for your Pinnacle. The plumbing on my unground pool is with 1 1/2 inch piping. Can I install a pump which has 2 inch ports? A Answered on 4/12/2017 by InyoPools Product Specialist Lennox H.
Hi, Patrick. Yes, you can. You'll just have to use an adapter to go from 1-1/2" to 2" feeding into the pump. I need to change the factory default priming speed. The manual doesn't seem to mention how to do this, it just mentions the factory default priming speed is 2600 RPM for 3 minutes. How do I change the priming period duration and speed? Hi, Rick. You're unable to change the PRIMING speed of the 1.65 VS pump without the V-Green 270 User Interface - 2520652-001 which will provide additional features to the pump. I have a Hayward SP3400VSP pump & may need to be replaced. I saw your answer to previous question & you recommended a Pureline Prime pump PL2606 (2.7HP), what is the cost of this PL2606 pump? Thanks. A Answered on 3/29/2017 by InyoPools Product Specialist Patrick P.
Hi, Steve. Yes, you can wire this motor to your existing timer if it's 230 volts. What pump would your recommend to replace the Hayward SP3400VSP? Hi Karen, I would suggest the PureLine Prime 2.7 HP PL2606 as a great replacement for the Hayward SP3400VSP. The PL2606 has the same 2.7 HP motor as your Hayward SP3400VSP pump but at much more attractive price. Will the prueline VS pump work with the Hayward PL-P4 prologic controller? I didn't see any documentation for the Pump install or user manual can I get a copied emailed to me? I like to read through before purchase. Yes, the Prime is compatible with the Prologic system. Here's the owner's manual for the Century variable speed motor that is attached to the Prime pump housing. i have a p2ra5f-182L is this a good replacement for it? it has a timer to control it if I get this pump should I bypass the timer? Yes, the PL2605 would be a great replacement pump for your current Dura Glas. Hi Steve, Yes the parts to the PureLine Prime are readily available and you may view or purchase any of the PureLine Prime Pool Pump Replacement Parts here. What year did these pumps come out? This pump came out in 2015 but the motor that is used on this pump has been in production since 2011.
? Asked on 12/8/2016 by Compatible with Salt Water pool? Is there any concern when using on a pool with the salt water chlorination system? Hi. This pump is compatible with saltwater pools. Hi Earl, The flange type will not matter when replacing the entire pump. Hi, Our How To: Size a Pool Pump guide has all the info needed to determine what size pump you will need. Is this energy star qualified pump? This is not Energy Star Qualified I would suggest the Speck EcoMV Variable Speed Pump which is Energy Star Rated. Is the Pureline Prime Variable Speed Pool Pump 1.65 HP a direct replacement for my existing Hayward Super Pump Model SP3010X15AZ? Also, cant the controller on the Pureline Variable Speed Pump be remotely located? The PureLine Prime would not be a direct replacement to the Super II as the plumbing ports are in a slight different location meaning you might have some minor re-plumbing. The controller on this variable speed pump cannot be mounted remotely, it is affixed directly to the motor. This pump would be a great option as a replacement for the Hayward Super II. Can this pump be computer controlled? A Answered on 5/29/2016 by InyoPools Product Specialist Joe S.
If you are referring to automation yes, most 3rd party controllers will be able to run this unit. Others will only be able to turn on and off the unit. Please email us at support@inyopools.com the automation system and we can check compatibility. Is this pump OK for 220 volts? Can it modified for 220 volts? A Answered on 5/19/2016 by InyoPools Product Specialist Patrick P.
Yes this pump is okay to be wired 220 volts. I purchased this pump to replace my Hayward 1hp Super pump for my 25,000 gal pool. The costs of running the single speed pump for 8 - 10 hours a day from June to Mid September was killing me. The initial cost of a variable speed pump was putting me off until I found Inyo Pools and the PureLine Variable speed pump. With the Electric company rebate of $200 and reduced electrical costs, this pump has easily paid for itself in less than a year. That's it. I am no handyman. Although I can do minor repairs this was one of the easiest jobs I ever did. I removed the old pump, replaced with the variable speed pump. The wiring was tricky; the two holes for wiring on my old pump didn't fit the new pump setup. Luckily there were three holes for wiring on the new pump so I made an adjustment that works fine. The new pump was about one inch lower than the old pump, so I needed to raise the new pump up a little. Twenty minutes total time for the replacement. (5 out of 5 stars) Nice pump! I replaced an older Hayward SP with this one. I had replaced the old induction motor with a Marathon Impower motor, but the motor electronics failed and parts are not available. Since I was already sold on the power savings of the high efficiency motors, I was not going back. This pump and motor is impressive right out of the box. The connections were easy and it runs smooth and quiet. I hooked it up to my old trusty Intermatic timer which also turns my salt system on at the same time. With more RPM choices than my old motor, I will probable save even more. Programming is actually easier than the manual suggests. BUT... the best part of the deal was the customer service! Thanks! Replaced a Hayward SP2600VS with the PL2605. I can tell you the the ports lined up with my existing piping perfectly. I took a chance and bought reducers 2" x 1 1/2 bung type and was able to tighten everything enough and reconnect without cutting one piece of PVC. A second observation was that the 2605 was noticeably heavier than the Hayward on the motor side. Just going to call that a plus. The Hayward was installed in Jan 2014 by the previous homeowner who left us all the documentation and it almost made it 5 years so I'm not knocking the brand and have no knowledge of how the new Hayward or the others are built. But, I would recommend giving this line a try and save yourself some money. They ship fast and being a Florida resident I had mine in two days. P.S I have not tried to program anything yet. I was so happy the install went so well I primed it and pushed start. It primed and let it go to work using the built in programming for now. So far we rate the product with 5 stars. However, we are just now installing the pump so we have not had any runtime yet. Our pool is 18 x 36. The pump was an exact replacement for our Hayward pump with the limitation of the strainer basket. That seems to be a slightly odd size. We purchased an extra PureLine Prime Pump Basket from Inyo as we like to keep two baskets on hand. I have only used it for a few days so far, install was very simple. The factory presets work fine if you just want to go with those instead of setting up your own.